Iceland – a Foodie´s paradise! and foodies that come to Iceland looking for fine authentic food are indeed spoiled for choice. to satisfy the tough demands of Icelandic and foreign food lovers. There is hardly another place in Europe where you will find more 1st class restaurants collected in an equally small space as in Reykjavík. Angelica and Arctic Thyme, from the fresh lakes and rivers producing Arctic Char and the famous wild Icelandic salmon and trout. Still today Icelanders love to go berry and mussle picking and many still make their own lifrapylsa and blóðmör in autumn. our life has become much more “cozy” the passion and deep love for food still prevails! while exploring the natural wonders of South Iceland and even give it a go on horseback. (no prior experience needed). 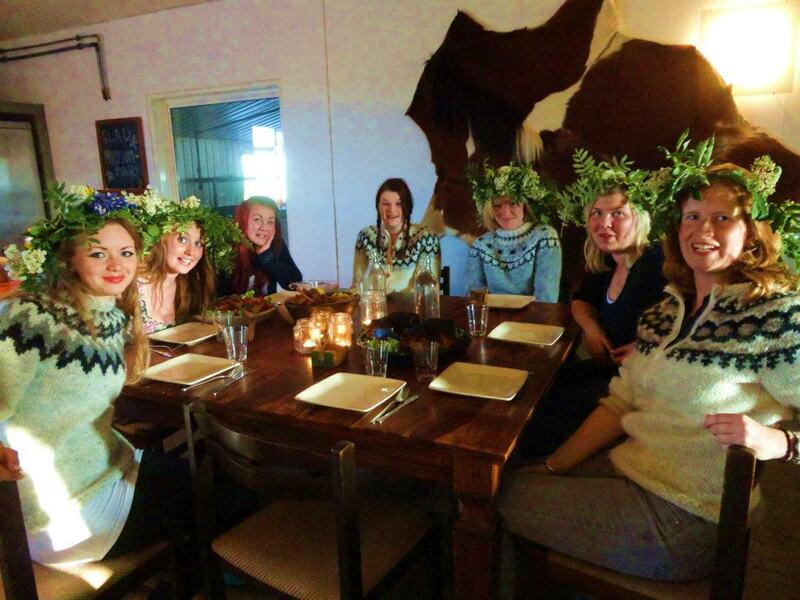 who love to discover Icelandic and its wonderful food! We start early noon with a little Food Walk by the harbor to experience and taste the regional specialities and unique flavors of the nordic capital Reykjavík. 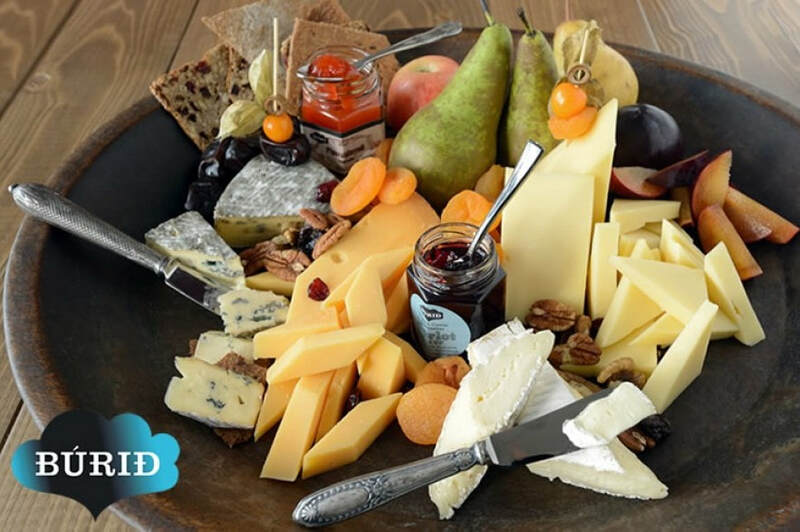 There will be samples of cheese and of course some sweet temptations at the cheese school, Búrið, plus we visit the main sights at the old harbour. After the local cheese course we head out of town by bus towards Thingvellir Nationalpark. Here you will be walking in between two continents as we are right on top of the mid atlantic ridge! This place plays a very important role in the history of Iceland since it was the site of the first parliament founded in 930. We continue to the geothermal hot area of Haukadalur where geysers spout at regular intervalls. Enjoy the breathtaking experience, when geyser Strokkur sends his water fountain up to 30 meters every 6-10 minutes! From there it is only a short drive to the farm, where we will stay for the next nights. 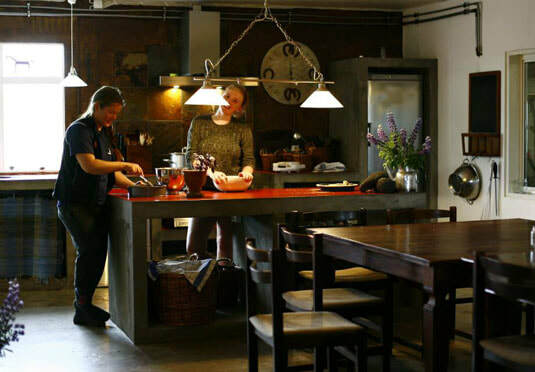 Upon arrival we are greeted with a cocktail in the unique Stable Restaurant by your hostess, Ása Dalkarls who will be your food guide for your journey into the magic of Icelandic delicassies. Being a true foodie herself, she only chooses the best local food available! During the course of the evening you will be tasting a wide selection of true and honest country food both surf and turf! Tonight we will be emphazing on starters – but don´t worry – there will be a sweet end to it as well! Overnight at the farm. Choice of double rooms in the cozy guesthouse or small cottages on the farm. Enjoy a hearty breakfast before you set out for your Viking adventure! The small, sturdy and very friendly Icelandic Horses will take you comfortably into Haukadalsskógur, a historial Viking site where you will be greeted by an Icelandic Viking and a selection of medieval food! Enjoy listening to tales of giants and ruthless Vikings! Up on horseback we go again and travel back on different trails to the farm. (Please note: Those who do not wish to ride can drive to the Viking site and go for a lovely walk instead but join the group for the meal.) Back at the farm we will set off to Flúðir village to sample the incredible creamy mushroom soup while learning about the mushrooms grown on their home made organic root substrate. A must try is their mushroom ice cream with a hint of lemon and caramel sauce! After this lovely late lunch we will head off to the Secret Lagoon to relax and rejuvenate in the hot thermal springs of the Secret Lagoon! 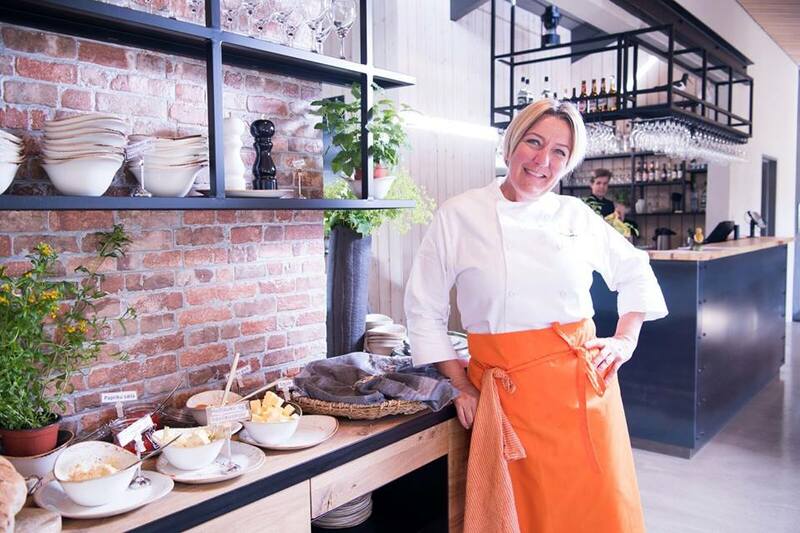 Back at the farm Ása will be waiting at the Stable Restaurant to lead us into the secrets of cooking with the famous Icelandic High Mountain Lamb – featuring fresh herbs as Arctic Thyme, Rosemary and Angelica as well! Enjoy a home made cooked 3 course dinner with love and listen to the love duets by Ása and her husband! 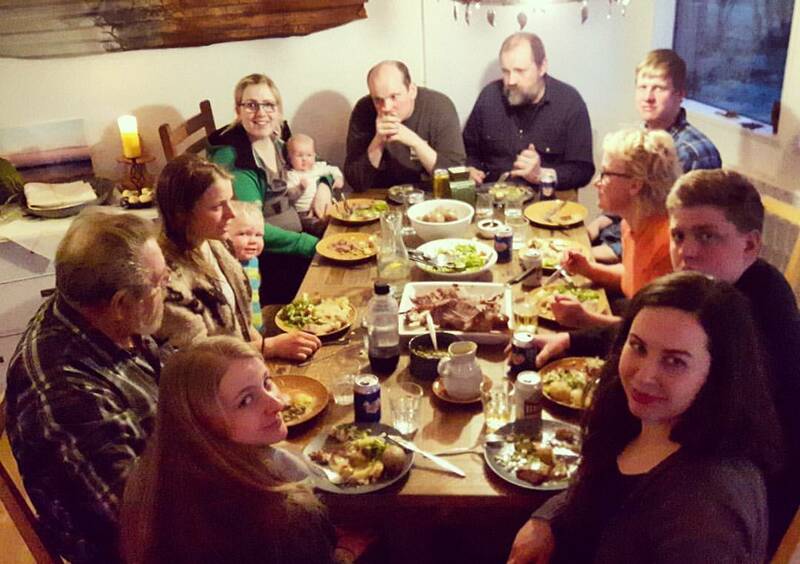 This is true Icelandic hospitality as it comes best! After another lovely breakfast in the Stable Restaurant we head out to the beautiful waterfalls of Gullfoss and Faxi. With a little luck we might be seeing the wild salmon travelling up the fish ladder. 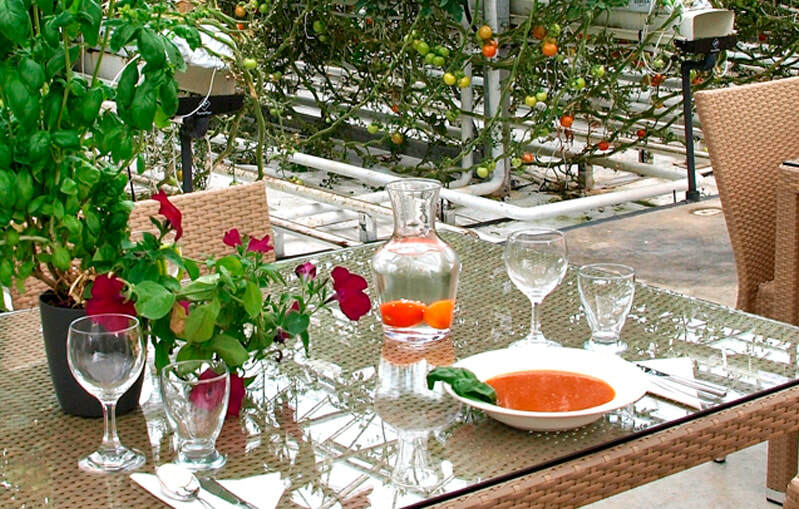 The best tomato soup Iceland has to offer will be served in a truly unique restaurant in a greenhouse while you learn about the fascinating aspects of horticulture in Iceland. Heading back to Reykjavík we end our fantastic tour with a chocolate tasting at Omnom Factory in the Old Harbour area of Reykjavík. Please contact us for a special offer for your group!